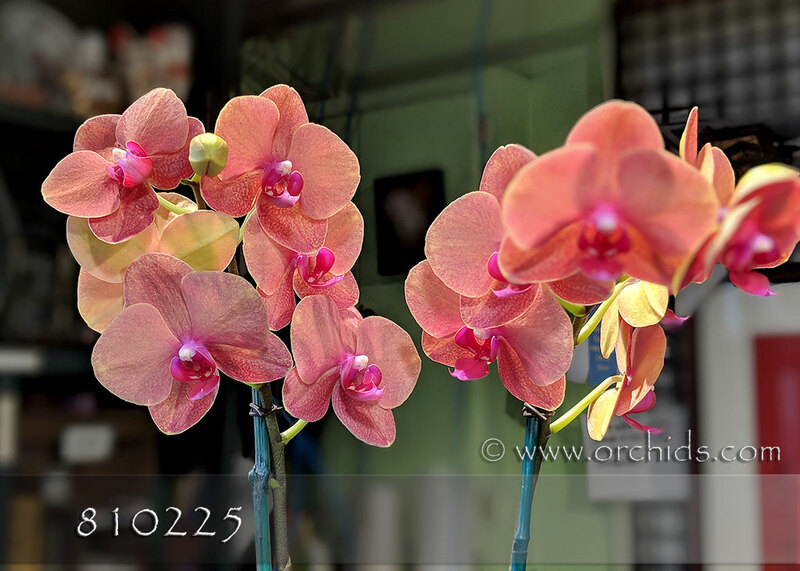 Our premium quality orchid with indescribably glowing color - its golden background is further enhanced with vivid rich overlays of salmon, apricot and cerise - reminiscent of the most glorious of tropical sunsets ! 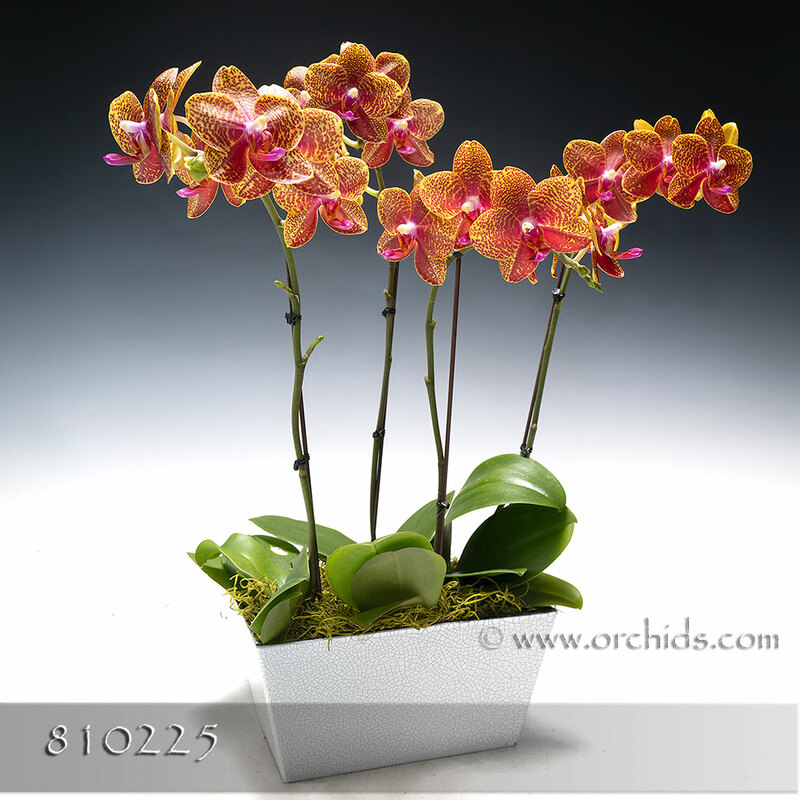 Lightly fragrant, especially under warm conditions, this sunset orchid combo stands 20” in height. Our designers will hand-select and arrange a very special plant in our exclusive modern Euro cachepot, adorn them with faux vines and complete this stunning arrangement with a soft bed of jade Spanish moss.